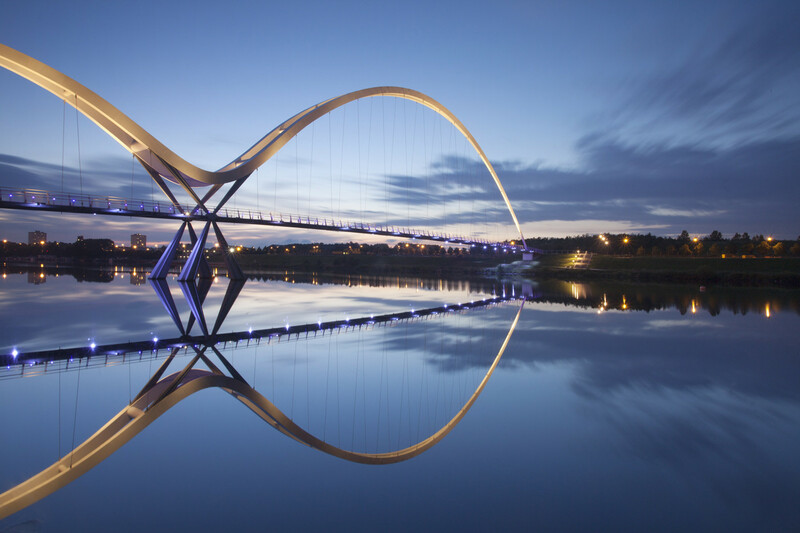 This is the Infinity Bridge in the borough of Stockton-on-Tres in northeast England. First off, I find it absolutely breathtaking that we can build a structure stretching from one side of land to another with water below. Furthermore, not only do we do that, but we also then do so with such beautiful architecture. It’s a stunning image. 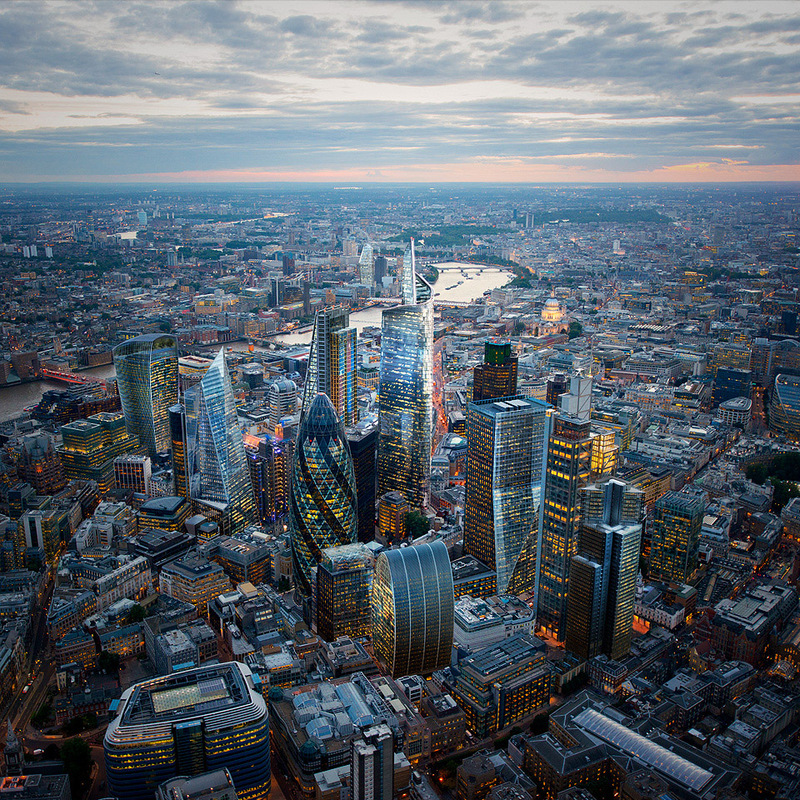 Here is snapshot of the city of London. 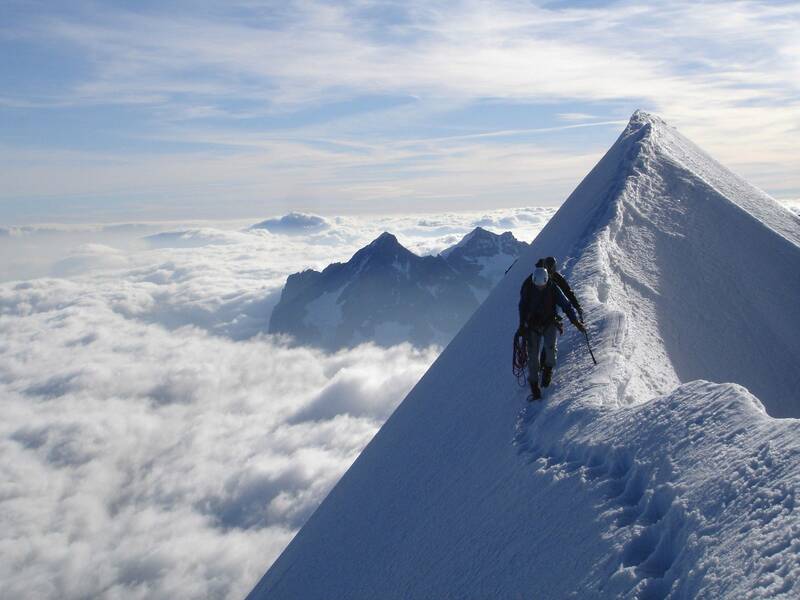 Again, it’s gorgeous, but also, marvel at human achievement. Before we came along, this area we refer to as London was dirt, grass, whatever the terrain was. We come along and we build enormous skyscrapers of different shapes, sizes and styles with accompanying buildings all around with a waterway right there in the middle. I am astounded by the ingenuity. I love space because it gives us such a daunting perspective of how important and incredibly small life is comparatively. Not to mention, again, as the theme suggests, there is such beauty in these far-away worlds. 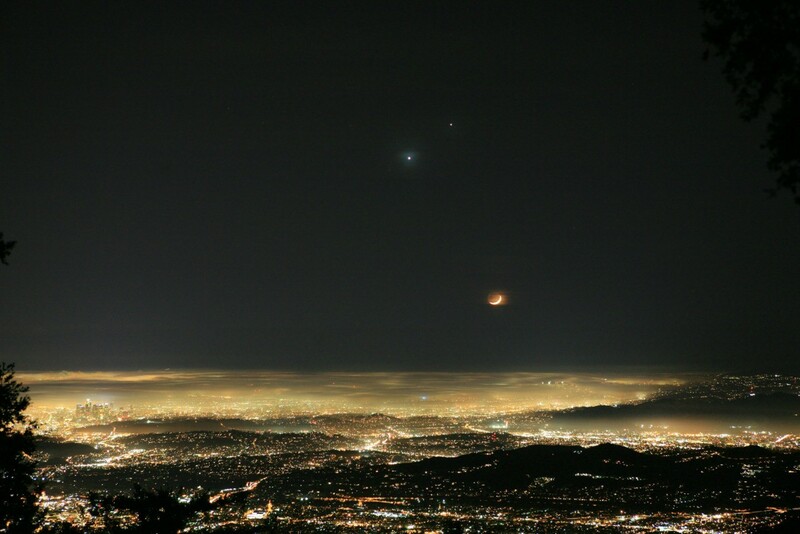 Check out this Jupiter, Venus and the Moon over the Los Angeles skyline. 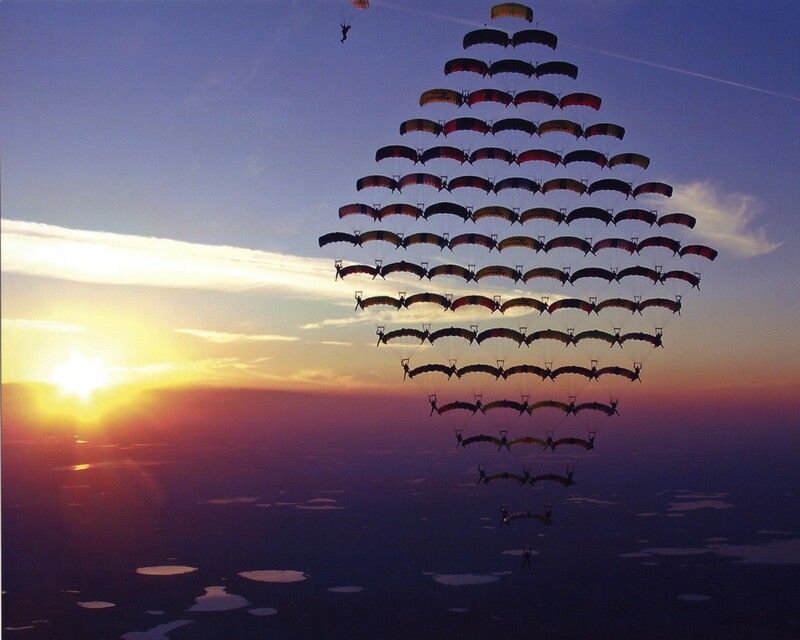 With that sentiment in mind, check out this, as eighty-one skydivers execute a canopy formation. Consider this, not too long ago – we’re talking barely over a century ago – we couldn’t fly. There was no such thing as the airplane and the Wright Brothers were just kids themselves. Then within decades, we have fighter jets and then we have space shuttles that can go outside the Earth’s orbit. Such advancement in a short amount of time epitomizes my concept of “life is beautiful.” Anyhow, so, we acquire the ability to fly. Then what do we do? We jump out of the damn plane. Why? Because it’s fun of course! I’ve done it and I can attest to this. 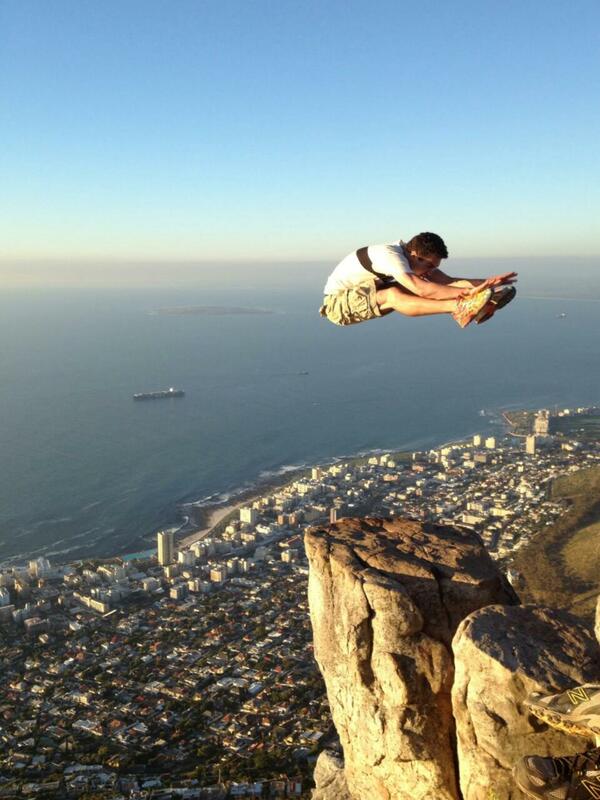 However, to then add style and grace to it with a formation along with eighty other skydivers? It legitimately blows my mind. 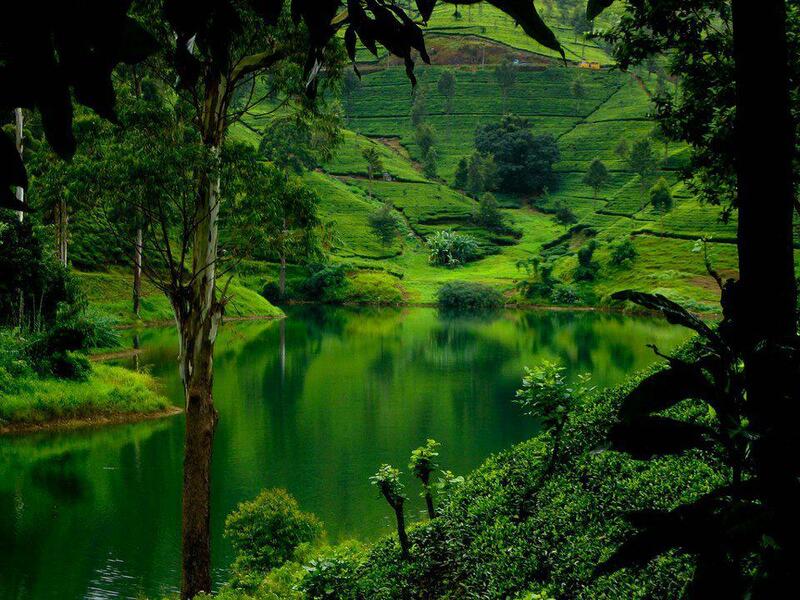 I wanted to end these pictures with another cool nature shot, the lush green hills of Sri Lanka. You almost want to reach out with your hand and touch it, wait, I did do that. I could go on with a plethora of pictures detailing the human connection, human creativity and other nature pictures, but how about some videos now? Listen to Chopin’s Nocturne and realize the beauty therein. Such soothing sounds to the ears; I keep using the word, but it fits – I marvel at the ability of others to create something so lovely and striking. Check out this video of a kid with one leg playing baseball. Look at his eyes; he’s determined and I love it. The freaking kid takes a charge at home plate. I’m twice his size and I’d probably flinch, if I saw someone my comparable size charging at me. I find this to represent “life is beautiful” because there is something vastly beautiful about continuing on living and not letting something like losing your leg slow you down; it demonstrates the perseverance of the human spirit. Then there’s this video of dogs welcoming back returning soldiers. Man, it’s get me teary-eyed quite easily, as a lover of dogs and the beautiful connection we have with them. He didn’t miss a goddamn step. It’s a thirty second anecdote, but it’s one of the most potent ones I have ever heard. I still have chills and a few tears from watching that again and I’ve seen the documentary countless times already. This isn’t some plea for us to all hold hands and, “Why can’t we all just get along?” I’m not putting my head in the sand to the evils out there or the raw deals some of us are dealt daily. I’m simply stating that – what should be an obvious point – the world is beautiful in the many different ways you look at it, whether the natural beauty all around us or the beauty found in the love and kindness manifest in our daily actions, especially in our most challenging of moments, as in the last video I posted during 9/11. I hope individually and collectively, we never lose sight of that. Thanks for being one of the only other people I know of that felt anything at all from louis lesche’s account of meeting that firefighter so many years ago. Very profound moment, put to words as good as any old time poet in my opinion. I wish the video still worked. I would live to see it again.